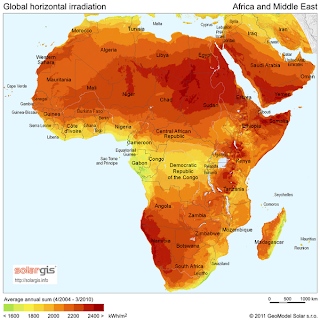 When it comes to green energy concepts and renewable electricity sources Ethiopia stands among the top 20 in the world rankings by percentage of energy produced from natural and renewable sources1. But, when it comes to the population’s access to electricity Ethiopia would probably rank on the opposite end of the table. And yet again, if there were a table that listed the solar energy by country the country would list at the bottom for actual present usage and at the top for the potential that is available. 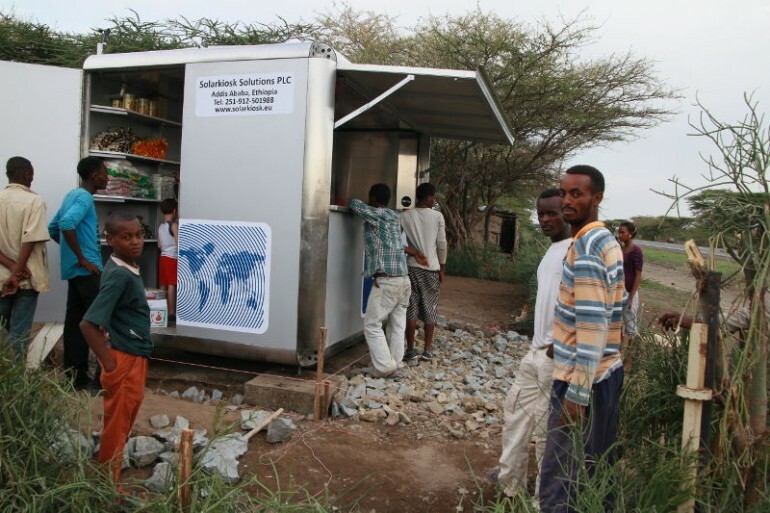 It, therefore, shouldn’t come as a surprise that the world’s first solar kiosk, aptly named SolarKiosk, opened its door for business on July 15th, 2012 in the Southern Ethiopian city resort area of Lake Langano2. In a country where renewable energy engineering is still in its infancy, and yet where the consciousness of planning and implementing green energy concepts is in the fore, these kiosks are very welcome renewable electricity sources. 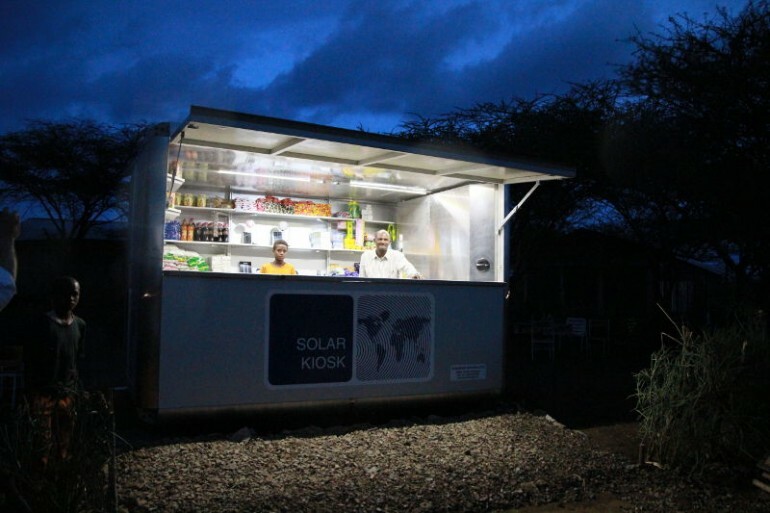 Designed in Germany by Graft architects, SolarKiosk is a portable solar shop or “autonomous business unit” that can literally bring light to the darkest parts of the country. It is intended to provide a stable source of electrical energy in a safe and affordable way to people living in places that have no access to electricity because they are too far away from the main grid. 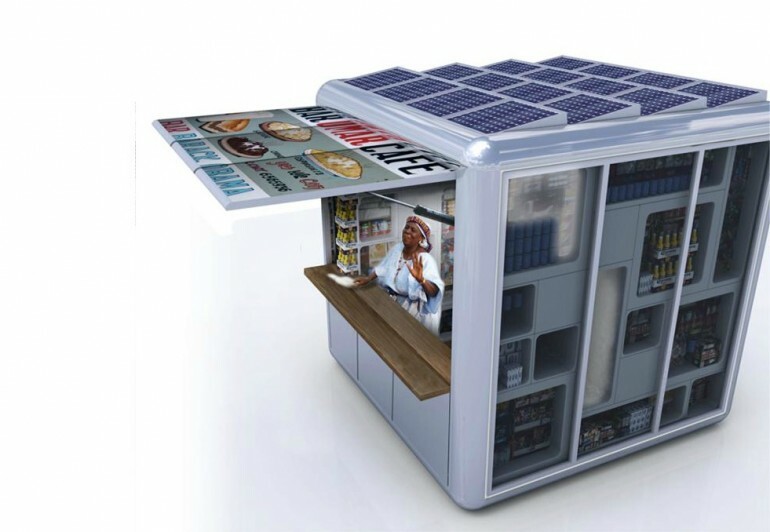 The kiosk can be used to sell energy and act as renewable electricity sources. The solar energy installers have stated that the kiosk, which is equipped with photovoltaic panels on its roof, will be able to generate enough power for solar lighting, charging of mobile phones, car batteries and even allow for the running of a solar fridge – which can be used to store the areas’ supply of perishables like vaccines and medicines. most common means of transportation in the rural areas. In addition to being a source of energy itself, the kiosk can be used to sell solar lanterns for their homes, mobile phones (which were not available for lack of a charging point), recharge cards for the phones and cold refreshments just like any other kiosk would. In order to make the project successful, SolarKiosk will also add to the local knowhow by providing training to the people on how solar energy works, how to maintain their kiosks and how to run a kiosk business. 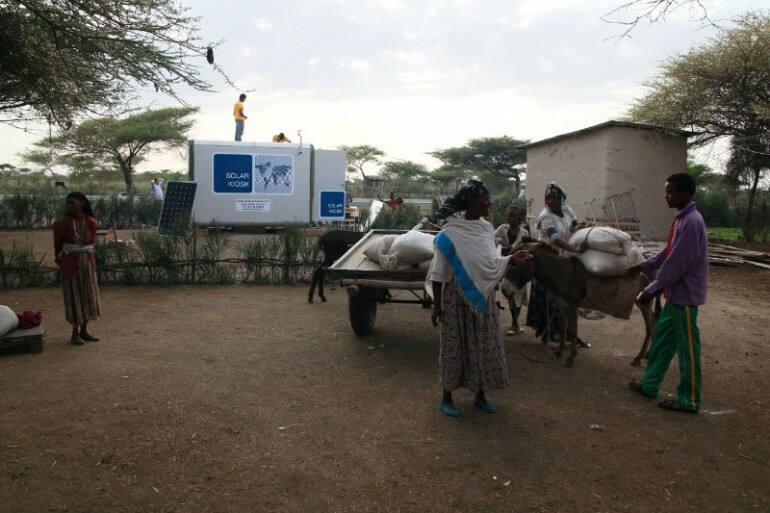 After installing the world’s first fully functioning SolarKiosk in Ethiopia, the company is looking to cover more grounds by looking for global partners and NGO’s that can help spread these amazing and innovative green energy concepts to the remotest parts of the world. I wonder if that solar kiosk can power air-conditioning units for example? That would be great so it can use midea air conditioning as well especially in that region where it is so hot the whole year through! Great article! Please check out www.econafrica.com. A recently deployed blog with an aim to create awareness about how fast the African economy is growing. hey. it was very nice to read such an interesting blog post. do keep up posting more updates. Australia's Largest Solar Panels True Value Solar Reviews. Buy True Value Solar - Australia's Largest Solar Panels Buy True Value Solar. nice post i like your blog Gifts to Pakistan .